Order a VPS. Note that LuckyBit masternodes will only work on an IPv4 VPS. Login to your account and click on your VPS to bring up it's control panel. 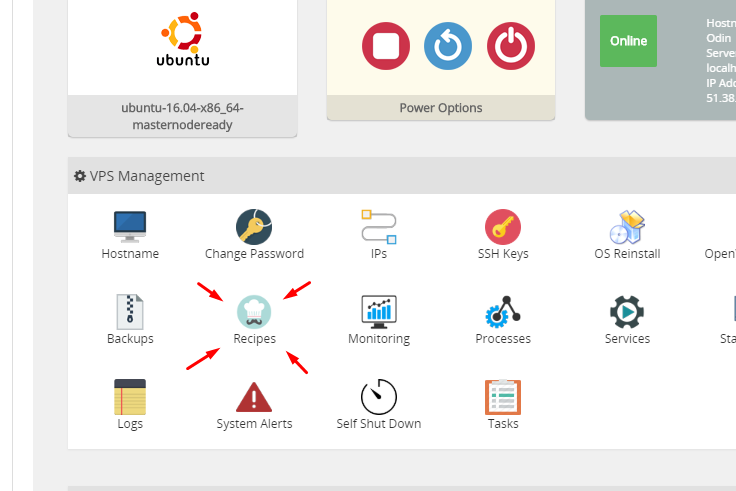 Click "Recipes" and then click "Execute" next to the "LuckyBit Masternode Setup" option. When the script ends, it will show you the details you'll need to setup your local wallet's masternode.conf - this will also be emailed to you to let you know that it is safe to start alias on your local wallet. Please feel free to open a support ticket, or visit the 01VPS Discord channel for help.